"But that's what I believe" is used far too often by religious believers as a way of shutting down conversations. And it is a very effective way to shut down conversations because many of us are so damn reluctant to offend others or hurt their feelings that we let the matter drop when we hear it. It is almost as if this phrase has become some sort of safe word whereby the other party signals that he or she has had enough and we let up. Of course, this phrase is not something one hears only from religious believers or only during the course of religious discussions. It has become an unfortunately common tactic for many people in many contexts. And again, it works because we allow it to work. I understand that this is what you believe. The fact that you believe this does not stop this particular belief from being incorrect. And what you believe in this particular instance is wrong. In fact, there is ample evidence suggesting that this particular belief is incorrect. Believe it or not, I encounter the "but that's what I believe" statement in the classroom with college students from time-to-time. Ten to fifteen years ago, this was not the case. The only time I can remember hearing it back then was from an extremely sheltered student who had been subjected to years of fundamentalist Christian homeschooling before entering college. Even then, it was shocking to encounter. It is far more common today. I now encounter it regularly when I present the results of scientific studies that conflict with what students think they know about the world. To be clear, I am not referring to matters of religion or other forms of superstition here (although this certainly happens in that context too). In fact, the beliefs students seem so reluctant to change appear to be based primarily on what they have seen on television or encountered online. We know from countless studies that eyewitness testimony is often unreliable. Human memory does not function like a video camera where everything that happens to us is accurately recorded in our brains. A child's chance of being sexually assaulted by someone he or she knows is greater than his or her chance of being sexually assaulted by a stranger. These are all factual statements, based on scientific evidence in the form of published studies. None are remotely controversial among scientists who study such topics. And yet, each conflicts in some way with what many students believe. When a student brings up popular media (e.g., "But I saw an episode of Criminal Minds where..."), I welcome it because this lets me highlight the contrast between reality and entertainment. This almost always ends up being a useful lesson. But this isn't what I'm talking about here. What I'm talking about are the times when the student responds to this information or a discussion of the science on which it is based with, "But that's what I believe" and does so as if that is supposed to be the last word on the matter. This is the thing that rarely happened 10-15 years ago but seems common today. It seems like some students have decided along the way that science cannot be trusted, and anti-science attitudes do seem to be part of what is happening here. But there is also this sense that if I believe something and tell others that I believe it, that I have just made my belief off limits to any critical inquiry, discussion, or correction. Running into this online is one thing; running into it in a college classroom is quite another. When the statement is made, I generally respond by gently highlighting the contrast between what we know on the basis of scientific evidence and what the student believes. I do not always explicitly label the belief as incorrect in this process, but I do so if I feel it is necessary. After all, a student who answers test questions based on his or her beliefs is not going to do very well when his or her beliefs are inconsistent with the science. Most students will let us move on at this point, but a small group will become angry and argumentative instead. The most common tactic they use at this point is to keep repeating "but that's what I believe" combined with anti-science statements (e.g., "science isn't always right") or even less relevant objections. I have learned that these interactions cannot be allowed to continue in class because it is not fair to the rest of the students to devote so much time to something they all get. I'll invite the student to talk with me more after class and indicate that we need to move on now. I'm not sure what is driving this trend. I mentioned that anti-science attitudes are relevant, but what is driving such attitudes? I noted this sense that expressing what one's believes is supposed to end all debate, but what is driving this? I suspect that one important factor involves what has happened to our news media over the past decade. Why bother to ask a scientist for information when you can just poll ordinary citizens about what they think? And why do real reporting at all when you can ask your viewers to do it for you? 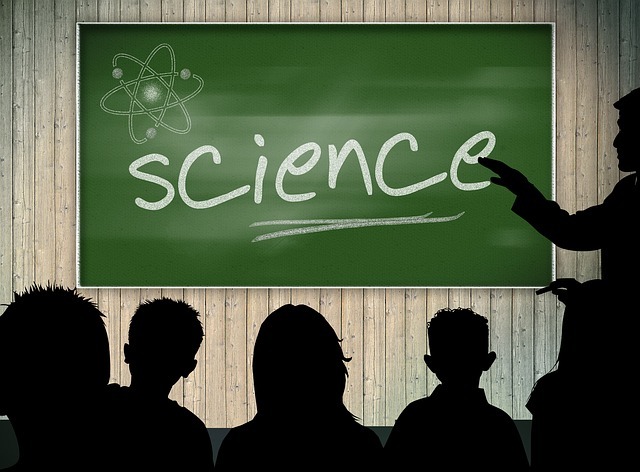 When what a layperson believes is viewed as being equally valid as scientific consensus, is it any wonder that some college students bring this into the classroom? So-called "citizen journalism" is not necessarily a bad thing, but it has to be recognized for what it is. It is no substitute for real journalism, and it does not yield much more than uninformed opinion. It is certainly no substitute for scientific knowledge. I see these attitudes reflected in the sort of conservative propaganda for which Fox "News" is known. Scientific experts are to be mocked and criticized by "real Americans" who almost always know better. I also see these attitudes reflected in some corners of the far left (e.g., the idea that one's "lived experience" makes one more of an authority than scientific knowledge ever could). There is a strand of anti-intellectualism running through the United States, and it can be clearly identified in both the extreme right and the extreme left. Unfortunately, it seems to becoming more pervasive and is now spreading outward from what used to be rather extreme positions. I wish I knew how to reverse this trend before it does additional damage. Religious privilege is part of the problem, but I can't blame the whole thing on religion. I've encountered some of the same anti-science attitudes, anti-intellectualism, and primacy of what one believes among atheists too. I certainly can't blame it on any one political orientation, as I see it coming from both the right and the left. And realistically, I can't blame it all on the media either. Many of the college kids who do it are not spending much of their time watching cable news, after all. I certainly understand the egalitarian appeal of claiming that we are all equally knowledgeable and/or that all our knowledge is somehow equally valid, but this is not true. We are not all equally knowledgeable, and expertise matters. Someone with a Ph.D. in physics knows a hell of a lot more about physics than I ever will, and to suggest otherwise is absurd. And to say that my incorrect belief is somehow as valid as informed scientific opinion based on solid evidence is ridiculous. Improving scientific literacy seems like it has to be part of the solution. The trouble is that many educators now seem more concerned with protecting their students from the horror of hurt feelings that they are allowing "but that's what I believe" to end too many conversations. This problem has become so ingrained in our culture that reversing it is unlikely to be easy. If we looked hard enough, I am confident that we could find someone in the United States today who does not believe in gravity, who believes that the Earth is flat, or who believes that the planets revolve around the Earth. These beliefs are all wrong. We know they are wrong. I am not sure who we think we are helping by pretending otherwise or allowing them to end the discussion.